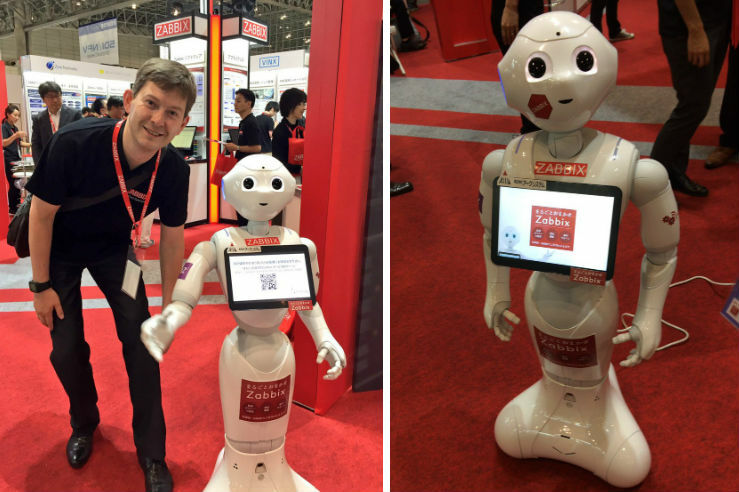 CeBIT is the biggest tech expo in Europe, forcing you to re-imagine everything you know about technology, AI, digitalization and IoT. 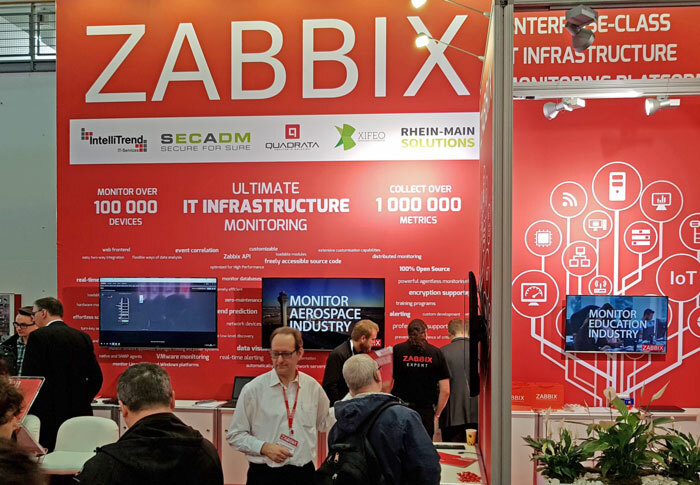 Together with our partners IntelliTrend, secadm, Rhein-Main Solutions, Xifeo and Quadrata, we tried to demonstrate as much Zabbix capabilities as we could throughout those 5 days of the expo, proving that the flexibility and openness of Zabbix is our advantage in the today’s market. 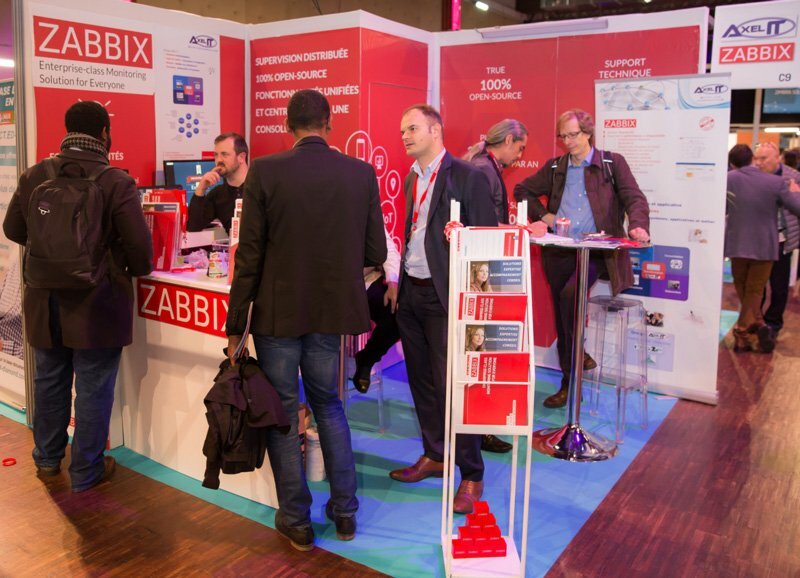 Zabbix stand looked super cool, you should definitely flip through the photos in our CeBIT blog post! 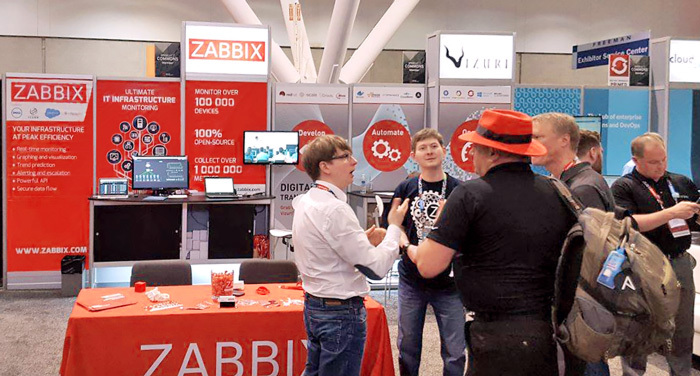 As a big Red Hat fan, we set out to Boston, MA with no hesitation and decided to kill two birds with one stone, as Red Hat Summit was followed by OpenStack Summit, with a few days in the middle to wander around The City of Champions. What’s so great in Red Hat Summit? Besides the red color? It’s one of the largest open-source tech events in the world, managing to stay faithful to community and provide worldwide enterprise-class solutions at the same time. Just like Zabbix! So, red – check, open source – check, world-class speakers – check. What else may you need to come here? At this event, we have experienced something completely different than ever before. At no other place did we have such fruitful discussions of what Zabbix already can and what it will do in the future in the fields of OpenStack, Kubernetes, Docker, Ansible and other modern solutions. 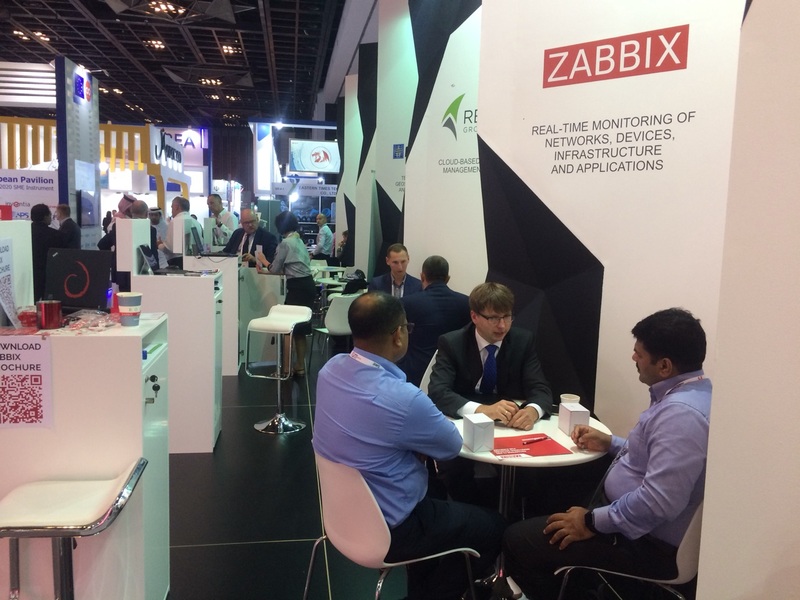 It was great to once again hear that Cisco, Ericsson, Nokia and NEC rely on Zabbix to monitor their clients’ environments and Mirantis uses Zabbix in Proactive Support and Customer care. There’s so much more to read about our Boston adventures in the dedicated blog post! It has become a good tradition to visit this open-source event in Warsaw each year, organized by our Premium Partner LinuxPolska. A great chance to talk to many big companies, including Orange and Poczta Polska. 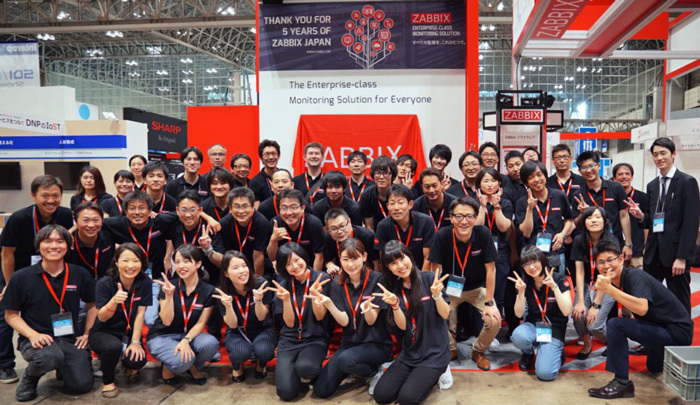 Interop Tokyo is placed among the most leading IT expos in the world, the whole infrastructure of which was fully monitored by Zabbix 2 years in a row! Servers, storage, network switches, PDU and ESXi/VM on VMware and much more. 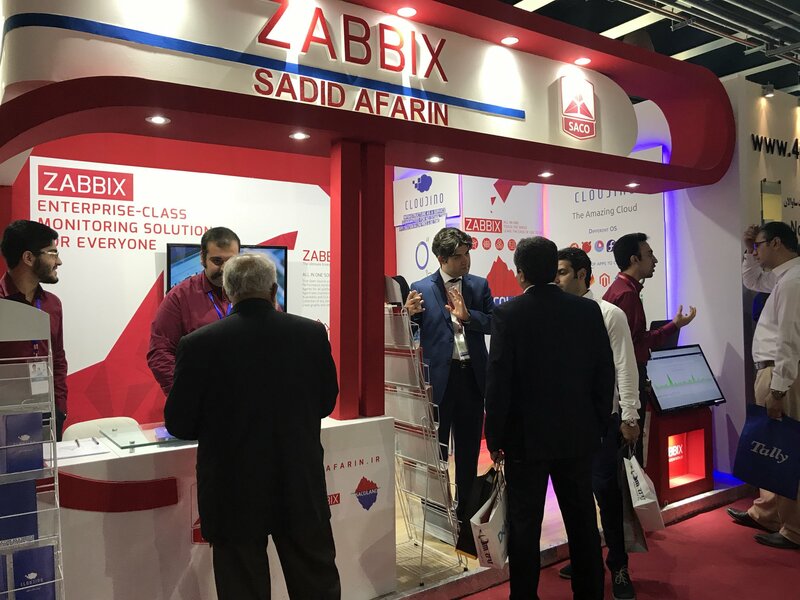 We celebrated 5 years of Zabbix office in Tokyo, by having the biggest stand so far, introducing new appliance for the Japanese market and chatting with more than 5,000 visitors about Zabbix mastery in monitoring clusters, AWS, SNMP traps and more. And we now have our own robot! We have a blog post about it as well! 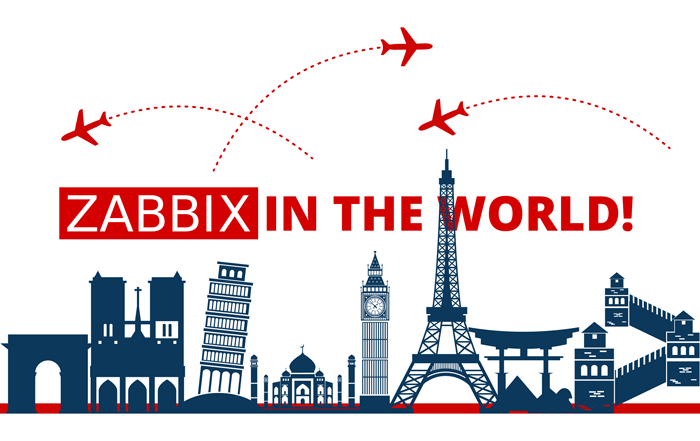 We prove the statement that Zabbix travels to all parts of the world! We’ve been to Tehran for ELECOMP, which is an IT event dedicated to electronics and computer products in Iran. Big thanks to our partners SadidAfarin (SACO) for a great work done! Another geek expo in our list of community-driven events, this time in Germany! Thank you OpenFuture and Falco Networks for sharing our booth with us. We have to admit that our last year’s trip to GITEX triggered us to come there again. One doesn’t simply miss an opportunity to visit Dubai! We spent 5 days to the fullest, building new business connections in the Middle East market. With the help of our Premium Partner Quadrata, we discussed how Zabbix collects accurate statistics, processes data and ensures real-time notifications at our workshops held in Italian! 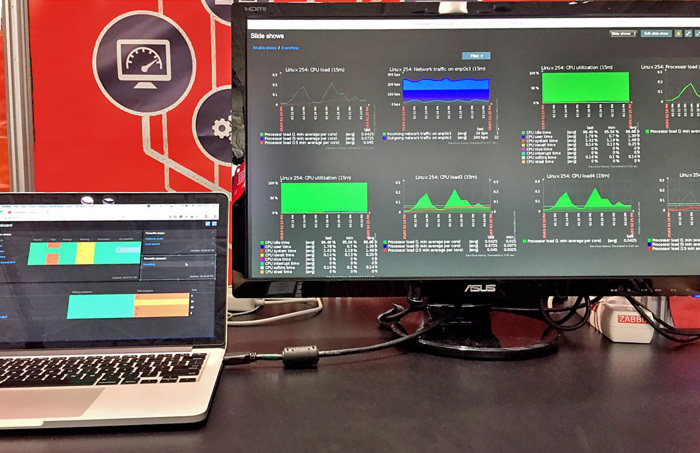 No one could pass by the Zabbix demo stand, where you could see Zabbix in action, monitoring IoT with Raspberry Pi. Two major tech events in Russia, covering high load systems and databases. RIT had taken place in Moscow early in June, having welcomed all kinds of IT professionals. 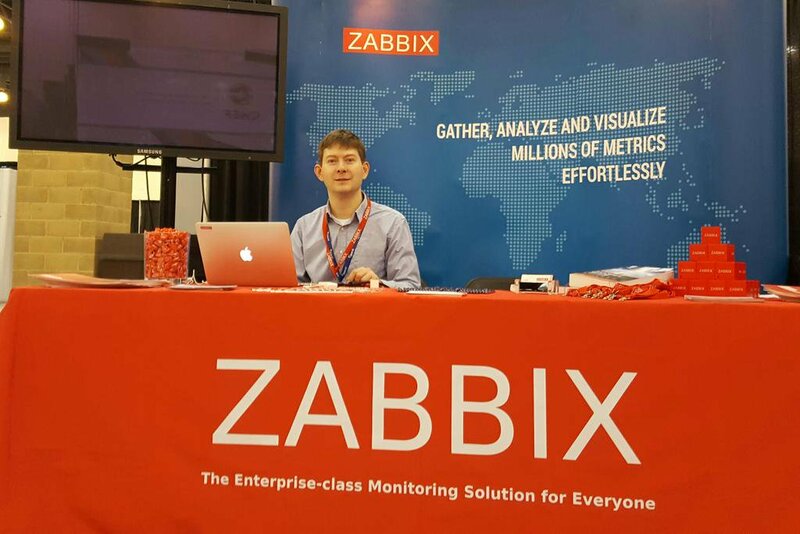 Zabbix prepared several surprises for the event, including the winning ticket to the Zabbix Conference 2017, hosted this September. We returned to Moscow in November to take part in HighLoad – one of the biggest conferences of high performance systems. Some more lotteries and games – and now we can’t wait to meet other winners at our next Zabbix Conference in 2018! It became a good tradition to finish the year with this French expo, focusing on the role of open source in the today’s digital revolution. We speak French thanks to our partner Axel IT! Breaking all the records this year, the 7th annual Zabbix Conference welcomed system engineers, cloud specialists, DevOps and CTOs from 32 countries in our hometown Riga. This year we’ve heard various cases of Zabbix integration with ServiceNow, Jabber Bot and Ansible, examples of what Zabbix is capable of within an infrastructure, great input from Zabbix community as well as new ideas. Discover all the speeches by clicking here and here! But we think bigger and that’s why this November we were proud to have the first Zabbix Conference for China, bringing Zabbix China community together in Shanghai to discuss examples of Zabbix customization, best practices and use cases. And November is also known for our annual Zabbix Conference Japan, uniting Zabbix fans in Tokyo. #ZabbixMeetups are being organized all around the globe so that our users can find answers to the most topical questions and exchange their vision and challenges. 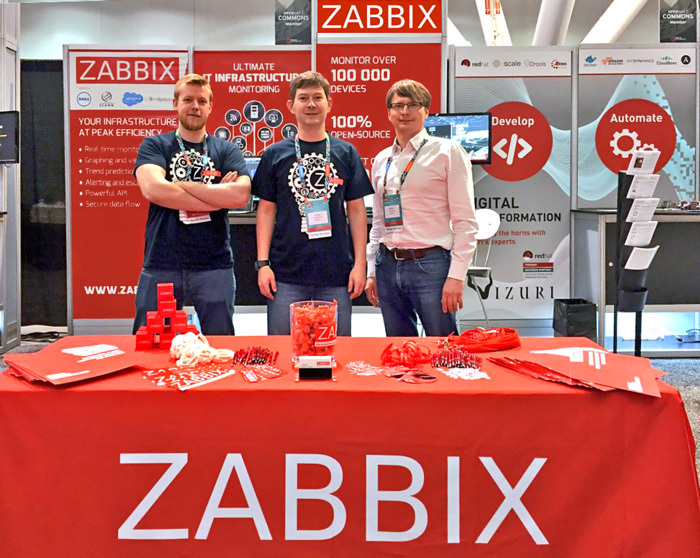 Thanks to our awesome community, this year we’ve talked about Zabbix in English, Russian, French, Portuguese, Slovak, Polish, Chinese and Japanese. Thank you Unirede, Badoo, S&T Slovakia, André Déo and Steve Destivelle for your contribution and passion! There’s so much fun at our internal Z Meetups as well! Here’s a blog post – yes, this is a must read! 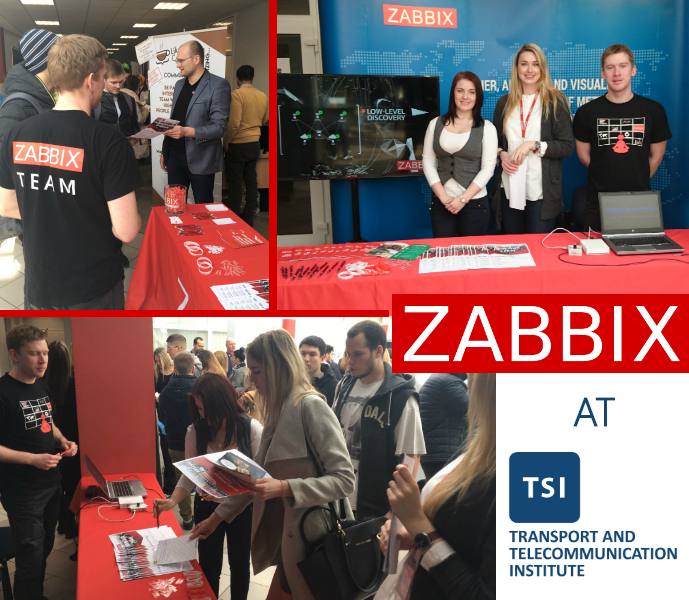 We are actively seeking for new team members ready to build their career path at Zabbix, so we’ve also stopped at Latvian universities to look for bright minds of the future. 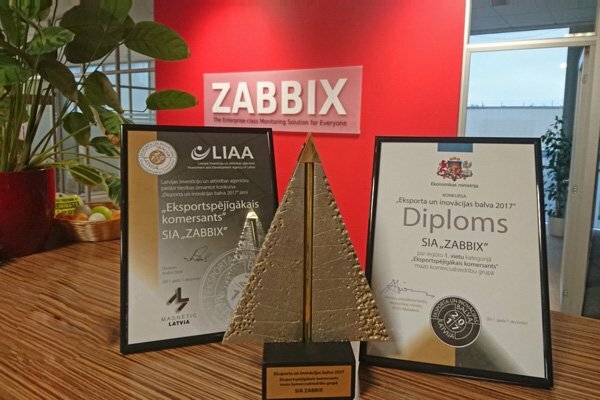 It was a challenging and delightful year, and we finished it with a sense of success, by winning the Export and Innovation Award 2017, created by the Investment and Development Agency and hosted by the President of Latvia. Proud and happy! The next year already looks even more busy! Stay tuned and follow the latest news on our Events page and Newsletters as well as on Zabbix Twitter, Facebook, LinkedIn and Google+.